Toronto, April 16: IMF members are scheduled to travel to Pakistan at the end of this month to discuss Islamabad’s request for a bailout package but the CPEC project is turning out to be a hurdle for both sides involved in the discussions, according to reports. IMF wants Pakistan to commit in writing that its bailout package – which could be anywhere between US $ 8-12 billion will not be used to pay back China for its investment in the China Pakistan Economic Corridor. The IMF team has also insisted on a full disclosure of all the financial aid that has been extended by Beijing to Islamabad, including infrastructure development, nuclear power plants, joint manufacturing of JF-17 Thunder fighter jets and procurement of submarines. The IMF has also asked for details of more than US $6.5 billion of commercial loans Pakistan has received from China in the past two and a half years. Islamabad is yet to agree to these conditions of the IMF. Pakistan needs the bailout from IMF despite securing almost US $8 billion in assistance from friendly countries such as China, Saudi Arabia and the UAE as it is faced with a severe balance of payments crisis. Pakistan’s Finance Minister Asad Umar had candidly spoken about it a few weeks ago, saying Pakistan was basically staring at bankruptcy and needed IMF funds to help avert such a scenario becoming a reality. Asad Umar meanwhile was in the U.S. over the weekend to further discuss the financial aid package. Umar during a press conference on Thursday, April 11 said the two sides had "more or less, reached an understanding" on the bailout package and "in a day or two, we hope to reach a full agreement". An official familiar with the Pakistan-IMF talks said, "Islamabad still hopes to conclude the agreement before June, as they believe the bailout package would help budget prospects." Pakistan was reportedly hoping to have the IMF team finalise the announcement in April but it could get pushed to May, according to some reports. Pakistan’s coffers are severely depleted and it barely has funds to cover loan repayments as well furnish import bills for the next two months. 140 billion electricity and gas revenue losses be recovered from consumers. 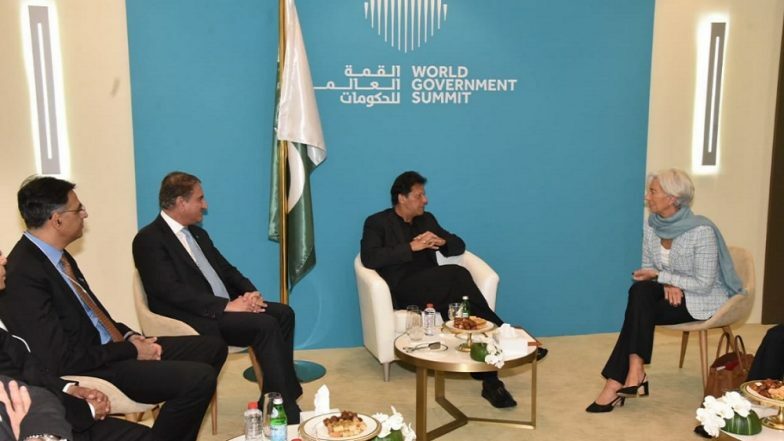 The Imran Khan government is hoping to negotiate some of the conditions, especially those that will hit the Pakistan’s population such as expanding tax bracket and ending tax concessions but the IMF seems firm on its terms. The IMF has also been warned against the bailout package by the Trump Administration which believes Islamabad would try to re-route some of the financial assistance to repay China for its infrastructure loans.